Request a complimentary Instant Quote for a Service Agreement today so you can stop worrying about expensive air conditioning and appliance repair costs. Many wonder what’s included with a Gold or Silver Agreement. Your Membership includes coverage of (1) one of each of the major appliances in your home and (1) one air conditioning system. There is no charge for parts and labor on covered equipment. Gold Members pay no service call fee for unlimited service calls. Silver Members pay our minimum service call fee for each technician visit to your home. 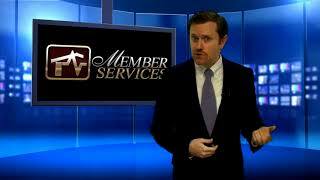 Access to our exclusive Member Services site. Schedule service by selecting a 2 hour time frame that is convenient for you! Learn more! 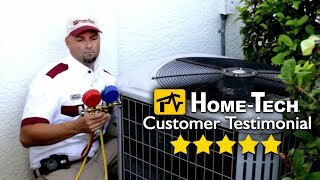 Who wants to spend the day dealing with a costly and much needed appliance or air conditioning repair or waiting around for a repairman that is unreliable or not respectful of your home? We suggest a Service Agreement which covers your major appliances and air conditioning system. With plans you can customize, one is sure to fit your needs. 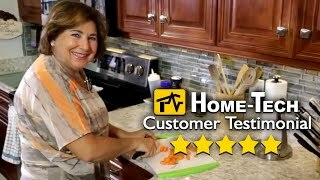 Home-Tech’s popular GOLD plan provides Sarasota and Manatee County residents a premier level of service for one low annual fee. This plan includes unlimited service calls and includes labor and parts (at no additional fee) on your covered major appliance and air conditioning repairs. With Home-Tech, you not only receive fast, professional, reliable service, but you also receive peace of mind. Let Home-Tech handle your repairs so you can get back to enjoying your leisure time. Call about our Service Agreements today or start the process online by getting an Instant Quote. We love this peace of mind! They act like owners and not employees. For Promotional Use Only. Please See Official Service Agreement for Details. Many of Home-Tech’s Members choose to go beyond the coverage of the GOLD and SILVER Service Agreements and purchase valuable Options to protect additional equipment in their homes. Our Plumbing & Electrical Option and Rust & Corrosion Options add value, peace of mind and convenience.